Strong cash flow is critical for entrepreneurial success. But 50 percent of all small businesses crash within five years because their founders are weak in financial literacy, according to a report by the JPMorgan Chase Institute. “Growth, Vitality, and Cash Flows: High-Frequency Evidence from One Million Small Businesses,” stems from data compiled from accounts at JPMorgan Chase. It’s the nation’s largest bank and is an advocate for small-business education programs. The report makes it clear that such small-business failures stem from a lack of knowledge about cash flow and maintaining a cash buffer. “Small businesses don’t fail because it’s a bad business,” Chris Wheat, director of business research for the JPMorgan Chase Institute and the lead researcher on the study. “They fail because of cash flow problems,” he explains. The report’s conclusions emphasize establishing and maintaining an emergency fund, and fully understanding how to sustain cash flow – that’s income and expenditures. Mr. Wheat analyzed the businesses that suffer from poor cash flow. Restaurants fare the worst. The study indicates restaurants only last 3.7 years. That’s the shortest lifespan of a dozen industries that were studied. Restaurants typically are hit by unanticipated expenses while trying to cope with irregular income. Negative surprises occur because restaurants must continually buy supplies at constantly changing prices vs. an unpredictable flow of customers. Changing seasons are a factor. “Restaurants we consistently find have more pronounced small-business challenges,” says Mr. Wheat. “Restaurants tend not to be holding a lot of cash in their accounts. And if you put that together with any amount of volatility, it’s not surprising to see they have the highest likelihood of exiting,” he adds. On the other hand, the study shows the most-successful businesses are real estate firms. They average a nine-year lifespan. Their income and expenses are more predictable and stable. That means they find it easier to maintain a good cash flow. So, if you’ve got an entrepreneurial idea, make certain you’re strong in understanding finance. Get a mentor and take whatever financial training programs you can. Do this, and your dream will come true. You Can Creatively Manage Your Cash Flow 7 Ways – If you’re taking the pulse of your business, of course, the first thing to consider is your cash flow. If your cash flow is poor, you feel poor because you can’t pay the bills nor can you use money for what you’d like to do. For the Best Cash Flow, Manage Your Inventory Costs with 8 Tips – With proper inventory management, you can lower your expenses and increase your cash flow. For many businesses, it means taking a look at your inventory costs. 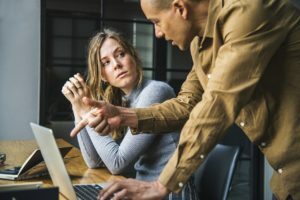 Angel Investor: Tips for Increasing Cash Flow, Profits — A successful angel investor shares his tips for good cash flow and other profit issues. Small Business Options for Year-End Cash Flow, Tax Benefits – The fourth quarter is the time for small business owners to reflect on options for year-end cash flow and tax benefits. In general, here are items to discuss with your accountant and tax advisor. 11 Tips to Win Your Entrepreneurial (Marathon) Race – For successful small firms, strong cash flow doesn’t just happen. Advertising firms to tech startups have a system. They plan and implement with precision. Using these strategies, you, too, will win. If you’re hoping to introduce a new product or service, there are many factors you must evaluate first – if you want to be profitable and experience growth. When it comes to product or service utility, your prospective customers will evaluate your offerings on several factors. True, you can use formal research tools to get your answers, such as focus groups or prototype testing. But as a cash-strapped entrepreneur you’ll want to save time and money, right? You can avoid using expensive research tools if you’re diligent in asking the right questions about your strengths, weaknesses, opportunities and threats in a SWOT analysis. So start thinking about the relevant typical questions: Is it practical? What are the obstacles to success? What is needed to guarantee customer satisfaction? What are the unknown contingencies? Businesspeople who love what they do have greater odds for success. But that’s not enough to consider. You should conduct a SWOT analysis of your strengths and weaknesses. Why? You and your employees who engage customers will disproportionately determine your success. Eighteen percent of customers will only buy at the cheapest price. So target the 82 percent who consider value. Make sure your products create a demand by adequately solving a need. Competition is healthy. However, if your competitors have a head start and are already selling products at Amazon, Overstock or WalMart, you face overwhelming odds. If you face competition, you’ll want a favorable size and weight. This affects consumer acceptance and shipping costs. In our economic environment, e-commerce customers increasingly disdain paying for shipping. Many e-commerce businesses have suffered from shopping-cart abandonment for that very reason. Paying for shipping will affect your profit margins. Not only are fragile products unpopular with customers, brittle products increase inventory costs and are high maintenance in packaging and shipping. Assess how many SKUs (stock keeping unit) you want to market. The SKU is determined by the color, size and variation of your products. If you have too many or unnecessary SKUs, you’ll be saddled with extra time and sales-opportunity costs in keeping track of your inventory. If you sell perishable products, you can benefit more easily from repeat sales but it gets really tricky. If your churn rate is low, you won’t be successful. You’ll have to overcome built-in barriers – in production, storage and shipping. Take into account your ordering processes. And make sure your branding gives you a competitive edge. Will your sales be affected by the seasons of the year? If so, you’ll have to concentrate on timely promotions, limited time offers and anticipating potential shipping obstacles. To Realize Your Business Vision, 8 Best Practices for Setting Goals – Whatever your situation, to realize your vision, focusing on the right details is a skill conducive for strategically setting goals. 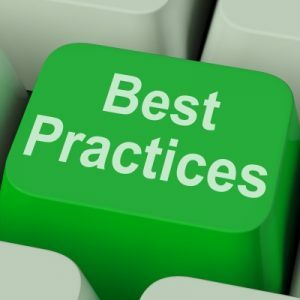 Here are eight best practices. For the Best Cash Flow, Manage Your Inventory Costs with 8 Tips – With proper inventory management, you can lower your expenses and increase your cash flow. For many businesses, that means taking a look at your inventory costs. When your products aren’t selling, obviously, it hurts. Products just lurking and collecting dust in your warehouse are costing you money. Your investment in such products declines in value. Big Data, Though a Trite Term, Helps in 6 Types of Analytics – To understand, forecast, and improve business performance, you need to know how to use data in analytics. Based on the most-popular Biz Coach articles since 2009 and the myriad of issues that cause CEOs to sleep at night, it’s worth noting top-performing companies have six significant ways to make use of big data in analytics. For Profits, Manage Your Growth at the Right Pace – Entrepreneurs frequently try to rush their business growth. Certainly, growth is great but if you scale too fast, you’re looking for trouble. The key is to prepare. Your Supply Chain Can Meet the Expected Standards of Customers, If…— A company that fails to meet customer expectations on store inventory and delivery has problems in supply chain management. Such a company minimizes its profits. Worse, it’s a red flag about competitiveness and long-term sustainability. Depending on your situation, there are beneficial reasons for buying a business. It works for a person lacking business-ownership experience but who has management expertise, as well as for a veteran business owner. Perhaps you’ve been laid off, or you’re tired of working for a boss. With sufficient experience as well as training from the seller, you can create a new career. If you’re a veteran businessperson in a new city, you might want to consider buying a business for immediate income and reputation in the community. You want to buy out the competition to grow your market share. You want to multiple your revenue streams, and a new business fits nicely with your expertise. Just remember you’ll want a situation in which you run the business — you don’t want a business to run you. Get off to a right start by taking precautions. 1. How is the business positioned? It should be the right environment. The business should have the right infrastructure such as operating procedures; licensing; excellent branding, a great Web site and social media; established income; not too many competitors; and the right location or locations (see Due-diligence Tips to Pick the Best Business Location). Use a sounding board. Get the right input from a mentor or other professionals to advise you. For example, they can help you review the seller’s representations and with designing a letter of intent to buy with contingencies — if you discover problems, you’ll want to be able to reduce the sales price or walk away from the deal. 2. Does it have positive financials? Don’t assume you’ll start with positive cash flow. With your financial advisor, analyze the tax returns and financials for the last three years. You need to make certain that the financial ratios are favorable, and the numbers cover all your financial bases (see Financial Tips for Taking the Plunge to Buy a Business). 3. Pricing and financial terms? Make sure it’s a do-able situation for you and allows for contingencies. Decide whether it’s best to have investors, bank, SBA or seller financing. Avoid a seller who has a strong emotional attachment with the company. Typically, such a seller has an unrealistic idea about the company’s worth. 4. What about goodwill and relationships? Obviously, you’re buying a business to avoid all the start- up hassles — from buying equipment to attracting customers. After checking out the financials, remember your due diligence on goodwill and relationships. Make certain the company has a stellar reputation with all stakeholders –from the community and neighboring businesses to vendors. 5. What about the human capital — employees? Hopefully, you’re getting a veteran, knowledgeable team-minded staff with great soft skills. Such employees are likely to welcome your management style. In turn, you have to make sure you develop good relationships with them and get introductions to your new clients or customers. You don’t want a situation in which customers are more loyal to employees than to your business. 6. Negative covert issues? Be sure you’re not buying a lemon. Spend time in the business. There’s a myriad of issues that can be submerged from view such as problems with the building, the landlord, hidden debts, financial status of big customers, staff morale or workplace culture. 7. Trends and prospects? You’ll want a business in an industry with good prospects in a sector with long-term growth potential. For many small businesspeople, uncertainty can be so unnerving it leads to fear. But fear can be healthy if used as a motivator to act. And act you should. Especially, in marketing. 1. Your first priority every day should be to market your business. Avoid complacency. Even on the bad-hair days, don’t let up. Even when revenue is good and you’re really busy, don’t get complacent. The point is this – decreasing your marketing investment to save money will hurt you both short and long term. Be relentless. Attack, attack and attack. Even the secrets to success in a tepid economy: Expand your marketing. 2. For cost-effectiveness, continually evaluate your marketing and related internal factors. Evaluate your messages. You should have five influential value propositions with a three to five word branding slogan. Don’t forget a logo. It should effectively tell your story and be simple. Don’t forget a favicon a small-business must for instant credibility – small enough to be condensed in 16 x 16 pixels for your Internet identity. If the ROI is insufficient, find out why and use an alternative. That goes for using the right mediums, too. Research what’s working and what isn’t. Make changes where necessary, including in customer service. Overall, think 1930s for business success. Why? Consumer attitudes are changing. 3. Strive to reach your target five times. In messaging, frequency counts with quality. In most cases, the buying decision is reached after the prospect experiences five positive messages. For the best return on your hard earned dollars, you must build your brand as inexpensively as possible. For that you need to implement marketing essentials on a shoestring budget. For many small businesspeople, the uncertainty can be so unnerving it leads to fear. But fear can be healthy if used as a motivator to act. 4. Use a diversified, integrated approach. Whenever possible, remember a single marketing medium should not eat up the entire budget. You should have a marketing mix of public relations and paid advertising. This is necessitated by consumer overload – customers act on messages from a variety of sources. For Internet dominance, thing integration. This includes making your social media shine. 5. Have a social conscience. Don’t under-estimate the power of cause-related marketing cause-related marketing because it can get you a double-digit percentage in higher sales. And it helps to be environmentally conscious, which means you’ll be able to expand your customer base by branding your business as green. 6. Get the right marketing help. Enlist the aid of an objective expert who is focused on getting you an ROI. Use the right mediums, which might not be what your gut-instinct tells you about products, pricing and promotion. Small business owners often make the mistake of spending money in the wrong places, not as investments in where their best prospects are. Startups especially have to preserve cash with the right steps. 7. Keep focused on winning the gold medal. Many small business owners, especially startups, are too-concerned about the competition. Remember, you’re in a marathon race. Don’t be obsessive about looking over your shoulder to beat your competitors. 8. Be defensive – protect your turf. In all sports, strong defenses win championships. Remember how much time and energy it took for you to get your best customers. Be a good steward of your assets to generate profits. When faced with a choice – whether to chase new business or to take care of lucrative, repeat customers – remember loyalty is usually rewarded and leads to good word-of-mouth advertising. You can actually invigorate sales with customer retention and referral strategies. Review your strategies for word-of-mouth advertising and customer service. Stay focused for success. Good luck! Your Dream is to be a Consultant? 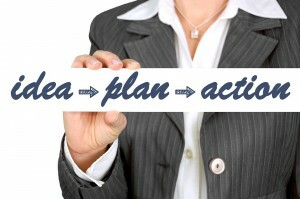 Here’s How to Develop Your Vision Plan. — So you’ve got the entrepreneurial bug. You have nothing against your boss, but it’s time for you to run the show. Here’s how to develop a vision plan. To answer the question, I have a simple one-word answer: No. It appears at least one of the Federal Reserve’s 12 districts does not have a practitioner’s understanding of small business. Small business is really the straw that stirs the drink in the nation’s ability to increase the number of jobs in this country. According to Small Business Administration (SBA) figures, small businesses make up more than 99 percent of all employers and employ more than half of all workers. Another SBA stat stands out: Small businesses have created 64 percent of all jobs in the last couple of decades. But small businesses have really suffered during and after the Great Recession. The Federal Reserve simply doesn’t understand why its policies leaves small businesspeople feeling as though they’re restrained in chains. So why is it that a 2011 study by the Federal Reserve Bank of New York draws the wrong conclusions as to why small business employee rolls dropped a lot more than big-business employment in the recent recession? The Fed’s study concludes that a drop in consumer demand triggered the cutbacks. Huh? Fortunately, a blog by Dr. Scott Shane nailed the reason. “I think two factors – reduced access to credit and the concentration of small businesses in the worst hit sectors of the economy – play a bigger role than the Fed researchers acknowledge,” he wrote. I like his work, and have quoted him previously (Is the U.S. in Danger of Becoming Second-Rate in High Tech?). Dr. Shane is an entrepreneurial scholar – the A. Malachi Mixon III Professor of Entrepreneurial Studies at Case Western Reserve University. The Fed was right about the loss of small-business employment rolls — 10.4 percent among companies with fewer than 50 employees. And Dr. Shane agreed. As Biz Coach, a business-performance consultant, I see it every day. Small businesses did lose more jobs than their bigger counterparts during the Great Recession. So, we’re in agreement on the job losses. As an example, he cites construction. “While total employment fell only 4.4 percent from 2007 to 2009, employment in construction dropped a 19.4 percent. With so many small businesses in construction, this has meant heavy job loss,” he explained. “The Fed researchers also play down the importance of tightened credit markets in accounting for the losses, arguing that most of the decline in borrowing by small businesses during the recession came from a decrease in demand for loans – not a reduction in supply,” he asserted. Dr. Shane points out home-price declines adversely impacted small business credit. Dr. Shane indicated home equity loans for small businesses decreased $25 billion. Amen. Naturally, it follows that new strategies for small business credit are needed. However, now there’s a bigger problem. My sense is that the small business credit situation – in the aggregate – won’t qualify such firms for loans. The chicanery by big banks led to reduced credit limits and they got away with charging 38 percent interest on business credit cards for dubious reasons. 11 Tips to Win Your Entrepreneurial (Marathon) Race — If you fear losing your entrepreneurial race, there are right steps to take and there are wrong. The good news is not all small businesspeople have cash flow issues. They’ve run the race and survived the marathon. Are Small Business Prospects Trending Up? Two small business studies by major companies — FedEx and Kelly Services — back in 2010 provided inspirational insights. The studies indicated the economic climate was trending positive for small business. But ObamaCare and other misguided policies by the Obama Administration began to take their tolls, many articles in this portal’s Public Policy section document why. Indeed, just two-and-a-half years later, small business optimism plummeted to one of its lowest levels in history when the National Federation for Independent Business (NFIB) proclaimed small businesspeople were depressed by their prospects. Additionally, the nation’s most-authoritative and widely quoted economist, Peter Morci, Ph.D., keeps publishing worrisome economic forecasts and analyses each week. Let’s review what could-have-been: The two optimistic studies by FedEx and Kelly Services. A “Signs of the Times” study by FedEx Office showed 72 percent of responding U.S. businesses believed they’ll help lead the charge to business recovery. Conducted in April, 2010, the study included small businesses with five to 100 employees with minimum revenue of $100,000. The temporary help company, Kelly Services, funded a global study which revealed 20 percent of respondents worked as entrepreneurial independent contractors and another 50 percent aspired to work for themselves. It was a survey of 134,000 people in 29 nations in Asia, Europe, and North America. Fifty-one percent of responding businesses indicated they’re already recovering or will be in great shape by the start of 2011. That’s quite a change. In 2009, 54 percent were worried about the economy. Eighteen percent were looking to hire workers compared to just 9 percent in 2009. Marketing will have a bigger priority – 42 percent budgeted for marketing in 2010. Thirty percent increased budgets for sales activities. In the early stages of the recession back in 2008, a previous FedEx study revealed relatively few small businesses were fully aware of the effects of the downturn. That’s when 41 percent said they anticipated increasing their marketing budgets. But in 2009 when virtually every business felt the negative impact of the downturn, 44 percent were looking to increase their marketing budgets. The current study indicated 34 percent slashed their marketing in 2009, but 31 percent regreted making the cutback. Eighty-seven percent believed in the importance of print marketing collateral, and 61 percent believed traditional marketing tools will yield a better return on their investment than the Internet. Ironically, 51 percent of the 18 to 34 year-old demographic advocate banners, posters and signs vis-à-vis 36 percent of those aged 55 and older. But many of the respondents said they will embrace the Web more – 46 percent online and 36 percent on social media. But the study’s red flag: Many small businesses had not designed a cohesive logo and tagline. Sixty-four percent admitted their messaging was “somewhat consistent,” 23 percent couldn’t afford to design messaging and branding, and 13 percent admitedt spending too much because they didn’t have the ability or time to research possible deals. It wasn’t just about companies cutting back to save on employee benefits, according to Kelly Services. Uncertainty about economics is what is really triggering the trend for entrepreneurship or independent contractors. The increase in free agency: Twenty-six percent in North America,19 percent in Asia and 17 percent in Europe. Nearly 25 percent of all respondents indicated a desire to launch a business, especially 48 to 65 year-old males. Some 20 percent were freelancers, consultants, independent contractors or free agents. That’s 28 percent of baby boomers, 20 percent of Gen X and 18 percent of Gen Y. Another 12 percent would love to be independent. Younger people were worried about failing and older folks fear healthcare costs. Thirty percent of Gen Y wanted to start their own business, but only 22 percent of Gen X and 14 percent of baby boomers wanted to do so. Forty-eight percent felt their abilities were adequate. Fifty-four percent of baby boomers and Gen X and 40 percent of Gen Y felt confident. “Many of those who lost their jobs as a result of the global economic crisis have had to reinvent themselves as independent contractors, freelancers and consultants. This self-employment trend may continue as more people become attracted by the autonomy, independence, and flexibility of working for themselves,” Corona added. Using a metaphor, as Reggie Jackson once said about his Mr. October capabilities as a New York Yankee: Entrepreneurs “are the straw that stirs the drink” in economic growth. Let’s hope those in the Obama Administration drink some strong coffee and learn their lessons about left-wing politics. But are small business prospects trending up? No. Check the expiration dates of your current domain registrations. Confirm that the Administrative Contact on the Domain Registration is current and the contact’s email address is correct. Pay attention to the email reminders. Domain Registrars send out multiple domain registration expiration emails. Renew your domain registrations before they expire. Energize Your Customer-Loyalty Program with 6 Steps — The quickest way for established businesses to optimize revenue is to have a stellar customer-loyalty program — there are six steps you can take for repeat sales and referrals. Checklist to Increase Your Startup’s Cash Flow — It’s true that cash flow is the salient dynamic that leads to the failure or success of a business. Whether your new company’s performance is stagnant or you’re growing quickly, cash flow is paramount. Tips for Preventing Robberies and What to Do If You’re Hit — As a business owner, you don’t like to think about the frightening prospect of being robbed. You could lose money and merchandise. More importantly, you and your employees could be severely hurt or even killed.